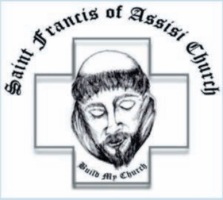 Here at Saint Francis of Assisi Church, we are committed to providing the safest environment possible for our parishioners as well as visitors who may be vulnerable in any way. The Diocese of Venice, along with the United States Conference of Catholic Bishops has provided us with strong directives to ensure that we do provide a safe environment. To learn more about these efforts, please visit our Diocesan Safe Environment Page. If you have any questions about the Safe Environment program, please contact the Parish Office at (941) 697-4899.